Given that online property portals, dominated by a handful of websites, are by far the most popular home search method, it is perhaps unsurprising that an increasing number of estate agents are spending significantly more money on maintaining an online presence that goes beyond simply listing properties on their own website. Rightmove remains the most visited UK property portal, while Zoopla, part of ZPG, has consolidated its position as the second largest property website in the country. “Agents are increasingly aware that they have - with their property content and with the ever-increasing charges they have paid - facilitated the growth of Rightmove and ZPG to a point where they had a combined £5.2bn market capitalisation in February this year,” said Ian Springett, CEO of OnTheMarket (OTM). OTM, launched in January 2015 by Agents’ Mutual, a large consortium of estate agents, including big hitters like Savills and Knight Frank, aiming to regain control of the homebuyer audience, continues to challenge what they previously described as the ‘duopoly’ of the two big property portals; begging the question, is the so-called duopoly rapidly becoming a triopoly? OTM provides an alternative search platform that appears to be growing increasing popular with consumers and agents alike, illustrated by growth in traffic and listings. The company reports that traffic to the portal reached an all-time high of 17.4 million visits during September 2018, while since OTM’s admission to AIM in February, a number of agents, including large firms such as Arun, Belvoir, Chancellors, Portico, Hunters, Townends, Andrews and Pattinson, have decided to list all their properties at OnTheMarket.com. This has helped to more than double OTM’s listing agreements, with over 11,500 agency offices now signed up, although it is important to point out that growth this year has been predominantly fuelled by free listings under the portal’s short-term introductory trial offers. However, the strategy has added to competition in the portals market. “The implementation of our strategy for a market-leading, agent-backed portal has rapidly accelerated since OnTheMarket plc was admitted to the AIM market of the London Stock Exchange in February,” Springett said. As part of OTM’s float on AIM, its ‘one other portal’ rule, which required their member agents to cease advertising on either Rightmove or Zoopla helping the website win greater market share, was dropped. Crucially, the portal is currently delivering record levels of phone and email leads to its estate and letting agent customers, according to Springett, albeit still well below the level being achieved by Zoopla and Rightmove at this stage. Nonetheless, significant progress is being made. The CEO says that the growth in leads is owed largely to the fact that many agents are not only advertising their properties on the OTM website but also launching new-to-market homes there in advance of advertising them on any other portal: typically 24 to 48 hours ahead, providing an extra and compelling reason for serious property-seekers to visit the portal and to return. OTM’s strategy has helped to ensure that OTM remains what Springett describes as an ‘industry price disruptor’, created to inject competition into the property portals landscape, reducing the pricing power of Zoopla and Rightmove. He points out that the launch of OTM has ‘dampened down’ the pricing of some of its rivals, ‘most notably Zoopla’, but accepts that agents have not yet, in large numbers, been prepared to switch from Rightmove. As the battle of the online portals continues, some commentators believe that Rightmove has been the real beneficiary of the war of the websites. Despite the AIM listing of rival portal OTM and increased competition, Rightmove saw its pre-tax profit grow by 12% to £98m in the six months to June thanks to the power of its business model. While estate agents face challenging market conditions, Rightmove reports that revenue was up 10% in H1 2018 to £131m as agents paid more to advertise homes on its website – the average revenue per advertiser increased by £76 compared with the same period last year to reach £987 a month. Regardless of higher costs, Rightmove’s membership numbers have remained virtually unchanged, with the number of agents and developers using the platform increasing marginally to 20,450, up 0.1% from 20,427 at the end of last year. Of course, the benefit of Rightmove membership goes well beyond simple listings, with agents also offered access to a range of insightful and practical tools, including Rightmove Intel, which maps out potentially new instruction opportunities, and free webinars from Rightmove and people within the industry. Peter Brooks-Johnson, Rightmove chief executive, commented: “For agents we continue to create innovative tools and products for our customers to help them be more efficient and to help them win more instructions. Included in their membership, Rightmove agents get access to the Rightmove Plus suite of reports and tools – giving them ‘unique market intelligence’, according to Brooks-Johnson. Rightmove also offer agents free training and marketing support. Brooks-Johnson continued: “Agents can order marketing material for their branches and to take out to their meetings. They also get access to a comprehensive programme of free online training webinars. Rightmove’s success is testament to the fact that it provides agents with a high number of leads and a wide range of tools that helps support the strategic decisions they make. But if it choice you are looking for, you simply cannot ignore the calculated diversification strategy adopted by Zoopla, which now offers a whole host of products. Zoopla (and its sister portal PrimeLocation) offers more than one million property listings, helping to attract a wide and unique audience of over 50 million consumer visitors each month, supported by listings on 30-plus partner sites. The portal provides a number of additional services and consumer tools, ranging from key word search, commute times, home running costs, broadband speed, as well as sold prices and much more, which, according to Charlie Bryant, MD of ZPG Property Services, “helps drive smarter property searches and in turn provides better quality leads creating better ROI for agents”. Zoopla’s valuation tool, for instance, helps to generate over 20,000 appraisal leads every month for its partner agents. “We are at the forefront of innovation in the world of property portals, investing for agents and helping consumers to discover the right property for them,” Bryant said. Zoopla, of course, is far more than just a portal, but rather a property technology business, providing agents with opportunities that it feels most other marketing service providers are missing out on. 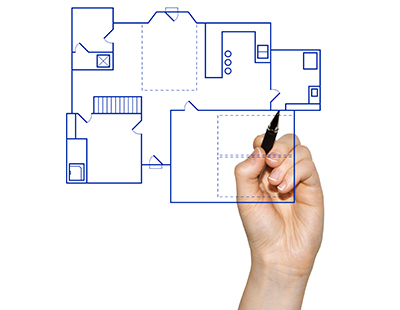 That includes offering other platforms, such as comparison websites for utilities, mortgages and other products in the form of uSwitch and Money.co.uk, as well as agency software, PSG, and research analysis from Hometrack, enabling ZPG to differentiate from its main rivals by providing a ‘one-stop shop’ for homebuyers and renters, as well as consumers looking for a whole host of services. 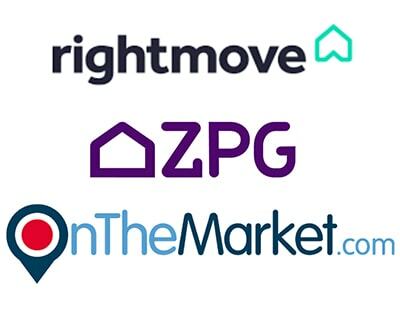 ZPG’s diversification strategy, initially adopted to provide an alternative to the dominance of Rightmove, successfully staved off the early competitive threat posed by OTM, which initially increased market share at Zoopla’s expense, with a number of agents cancelling their ZPG subscriptions to join the rival website. Within months of OTM’s launch, Zoopla lost almost a quarter of its agents to its competitor, prompting OTM to predict that it would replace Zoopla as the second largest portal in the UK by the end of 2016 on its way to achieving their medium-term objective of challenging the market leader, Rightmove. But ZPG had other ideas. “The arrival of OTM undoubtedly increased competition, and that helped us focus on our points of differentiation and to step up our portfolio of services and products,” Bryant explained. ZPG’s diversified strategy, supported by the acquisition of several businesses, has created what is now a major cross-selling machine, helping to lure back many of the agents it previously lost, including some of OTM’s founding members. At the end of ZPG’s half year results in April 2018, the total number of unique partners had increased by 9% and listings had grown 6% - and this trend is continuing. Bryant continued: “Hundreds of agency branches have returned to us this year alone including Humberts, Strutt & Parker, Manning Stainton, Chestertons, Douglas & Gordon and more. In fact, three of the six founding OTM members have returned to Zoopla. Bryant insists that Zoopla remains the “only credible alternative to Rightmove” in the property portal space, adding that the firm’s long-term aim is to be “the number one property destination for consumers in the UK and the best possible partner for agents”. With a strategy that remains highly focused on “delivering what matters most to consumers and our agent partners”, ZPG clearly has big ambitions to increase market share, supported by the fact that the company is now privately owned, following its acquisition earlier this year by Silver Lake, a US private equity firm, for £2.2bn, and could lead to some radical changes. 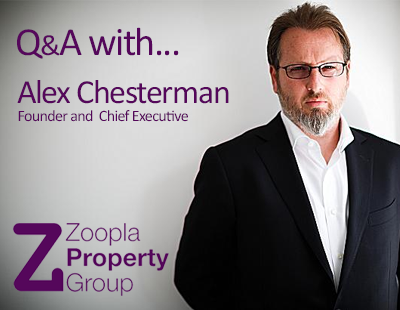 Bryant said: “Zoopla is now a private company and that has ushered in a new era for the business. “We are no longer a PLC like Rightmove or OTM and not being publicly listed means we’re taking a longer term view. “We have significant new investment to make in products and further innovation and more information will emerge on that in due course. Notably, the three main portals, Rightmove, Zoopla and OnTheMarket, continue to leverage their dominance in the industry to grow market share, but there are other property websites, including some specialist ones, providing specialist criteria and alternative search facilities that you may wish to consider listing properties with. - The EIG, recognised as the industry standard for UK property auction information, offers a portal that covers virtually all UK property auctions, including details on thousands of properties for sale. - With more than four million visitors a year, Citylets, established 18 years ago, occupies a strong position in Scotland’s letting market. - Home.co.uk uses search engine technology to build and maintain what it claims is the most comprehensive database of UK residential properties advertised for sale and rent on the Internet. 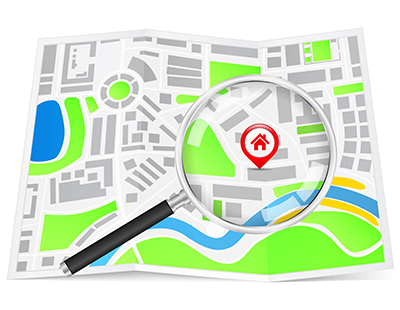 - Properstar, via parent company ListGlobally, is connected to over 80 property portals around the world. - Propertini.com, the international property search engine, launched the UK version of its website four years ago. Surprised that there are 7000 reads and no comments.